Footage has emerged of what its makers are calling a ‘flying motorcycle’. The device, unveiled by Russia’s Kalashnikov Consortium, looks more like a drone, with just its seat reminiscent of a motorbike. 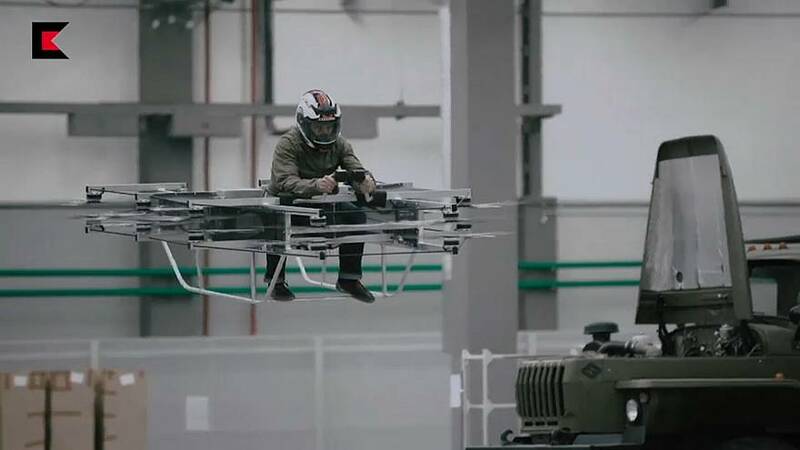 Video was released showing the ‘flying motorcycle’ on a test flight. It was done in presence of Sergei Chemezov, who heads up Rostec Corporation, a state-owned military firm which includes the Kalashnikov Consortium. It comes after a Russian firm released a hover surf bike earlier this year, the first of its kind in the world.